Listen to this The Point interview– “Exploring the Social and Emotional Aspects of Learning”–with several guests: Dr. J. Stuart Ablon, director of Think:Kids in the Department of Psychiatry at Mass General Hospital and Associate Professor at Harvard Medical School, Jacqueline Lane, Executive Director of NAMI for Cape Cod and the Islands, Melissa Maguire, Director of Student Services for Monomy Regional School District, and Gina Hurley, Executive Director of Social Emotional Learning and Student Services at Barnstable Public Schools. The host is Mindy Todd. Discussion of Collaborative Problem Solving and how it’s helping in schools, homes, and across many settings. CPS is a strengths-based, neurobiologically-grounded approach that brings new ideas and new hope for helping those with behavioral challenges. The CPS approach is based on more than 30 years of research in the neurosciences that demonstrates that challenging kids lack the skill, not the will, to behave well – specifically skills related to problem solving, flexibility, and frustration tolerance. Therefore, unlike traditional models of discipline, the CPS approach avoids the use of power, control, and motivational procedures and instead focuses on building helping relationships and teaching skills largely through a process of teaching parents and loved ones how to resolve chronic problems collaboratively. Divinna Schmitt, M.Ed., CPS Certified through Think:Kids, runs many CPS Groups (5 week sessions) throughout the year. NEW CLASS STARTING IN EAST HADDAM! CHILDCARE AND LIGHT SUPPER IS PROVIDED STARTING ON APRIL 10, 2019. CALL 860 876 0236 FOR MORE INFORMATION. 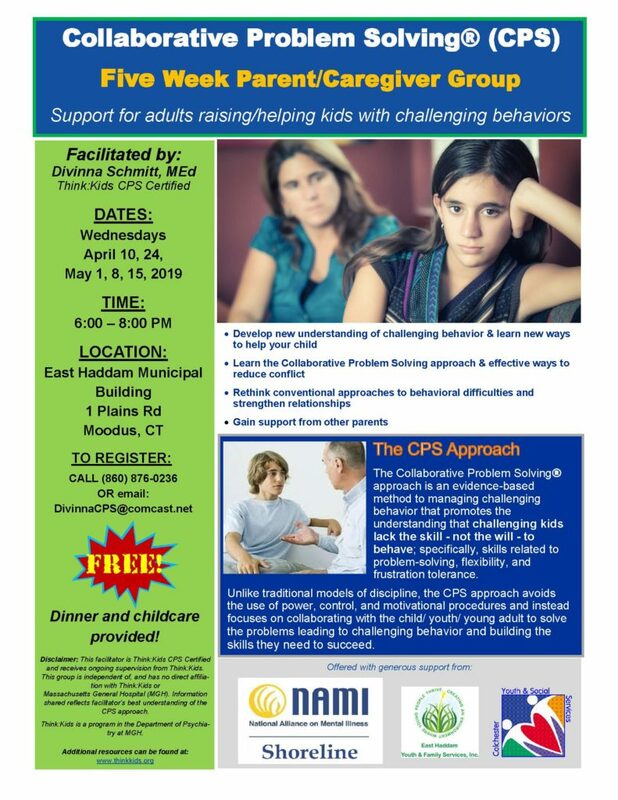 MANY THANKS TO COLCHESTER AND EAST HADDAM YOUTH AND FAMILY SERVICES FOR PROVIDING THIS OPPORTUNITY! WHO SHOULD ATTEND? Parents, Caregivers: Foster, Adoptive, Step-Parents, Grandparents. 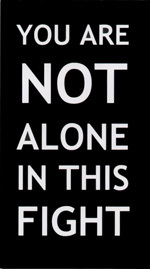 All adults living with family with behavioral challenges who seek a new approach. All Parent and Caregiver CPS Overview Groups are confidential. Or go to www.thinkkids.org for more information.